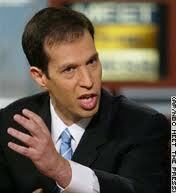 So, how can Ken Mehlman redeem himself? I want to hear from Ken that he is sorry for being the architect of the 2004 Bush reelection campaign. I want to hear from Ken that he is sorry for his role in developing strategy that resulted in George W. Bush threatening to veto ENDA or any bill containing hate crimes laws. I want to hear from Ken that he is sorry for the pressing of two Federal Marriage Amendments as political tools. I want to hear from Ken that he is sorry for developing the 72-hour strategy, using homophobic churches to become political arms of the GOP before Election Day. I wager that Bush 2 thought Ken was really bending over for his neo-con cause after all? I think gay marriage is one wedge issue that "conservatives" will no longer be able to use to divide us. The times they are a'changing, thank heavens.